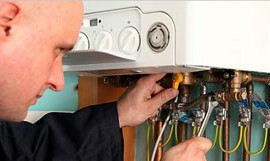 We are Gas Safe Registered and can service or repair all leading brands of boilers at great rates. As we own our own trade plumbing supplies outlet, we can beat our competitors prices hands down. We’re there fast, when you need us the most and our prices are hard to beat too. If you have a plumbing or heating emergency then look no further – CALL NOW 07958 946142 and let us sort out your emergency. Lancaster Plumbing & Heating are Medway Plumbers with over 20 Yrs Experience Servicing Medways Plumbing Needs. We cover all surrounding areas – No Job is too BIG or too Small – Just give us a call. From Leaking tap to Full Central Heating System design, supply and installation. We are known by our competetive pricing and quality service – something you may not be used to from tradesmen, but we consider ourselves different from others and pride ourselves on our reputation. 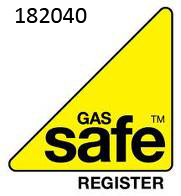 We are fully Gas Safe registered and licenced – check our credentials HERE. We service & repair all popular makes of boiler and get them running at optimal efficiency again complete central heating installations and upgrades at prices you won’t believe possible. We can fit the latest super efficient boilers and radiators to save you money year after year. 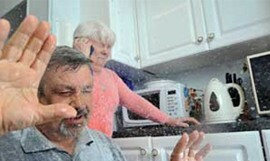 Lancaster Plumbing & Heating provide an emergency service for when you really need help fast. Whether your boiler has packed up on a freezing winters morning or you have a burst pipe that needs fixing fast – just give us a quick call and we’ll be to the rescue right away. I am a landlord with over 20 properties to manage and whenever I have a plumbing or heating problem I just call John at Lancaster Plumbing & Heating and he sorts it out for me all at a fair price – so I know i’m not getting ripped off and my tenants are kept happy. We have plumbing engineers covering all of Medway and Kent, on call seven days a week, 24 hours a day. We believe our plumbing services are second to none and these are some of the reasons why. Saving you money - we don't charge by the hour, with price you for your job. Qualified engineers -gas safe registered and all work guaranteed. Reliable and honest - we will be with you when we say we will then you get an upfront appraisal of your job. 24 hours, seven days - there when you need us. Plumbing and Heating Experts -one call for all your problems. 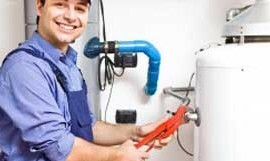 Plumbing Repairs - All domestic and commercial plumbing requirements covered and Lancaster Plumbing and Heating guarantee all their work. Central Heating - Rapid response for your heating and hot water problems in Medway and Kent, Lancaster Plumbing and Heating set the benchmark for quality, service and value for money. Boiler Servicing - For Medway boiler servicing, boiler repairs and installations from a gas safe registered engineer just call us now.